Quality cutthroat have moved up from Crowley onto the gravel beds of McGee Creek, and the Upper Owens. Mike Del Pero posing with an awesome male. News Flash for the East Walker River! Flows have sky rocketed up to 612 cfs. This will blow the river out and affect fishing for some time. It will take a few days at the least for the fish to settle in to their new holding areas. I would suggest fishing in other moving water locations until the river comes back down again. If you do fish here, seek out the slow moving water or eddies to try and get these fish to bite. 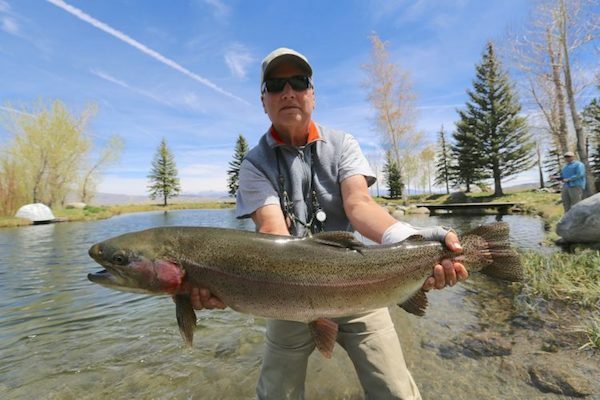 Crowley Lake still kicking out quality fish, but has slowed some for numbers. Moving around and varying your depth will keep you on the fish. Some areas turn on later in the day and some are good first thing in the morning. Look for scattered thunderstorms to continue throughout the holiday weekend. Still some nice fish moving through in McGee Creek. Upper Owens holding at 113 cfs with a few more cutthroat showing higher up river. Hot Creek excellent for numbers right now with a few bigger models in the mix. Middle Owens River at 300 cfs. The Upper Owens has decreased in flows slightly from last report. Lots of junk and debris floating down below Hot Creek which is now at 55 cfs. Some new cutthroat have made their entrance upstream into the river and are beginning to pair up. McGee Creek has cutthroat in it now, but a bigger push of fish is needed to thin out the angling pressure. The East Walker has been fishing as good as it gets. Flows are perfect and the big fish have been chewing daily. Lots of algae along the rocky bottoms so some adjustment of weight and indicator distance is needed. Hot Creek fishing well during the nicer weather periods. Dry fly action with mayfly, and small dark caddis will get looks. 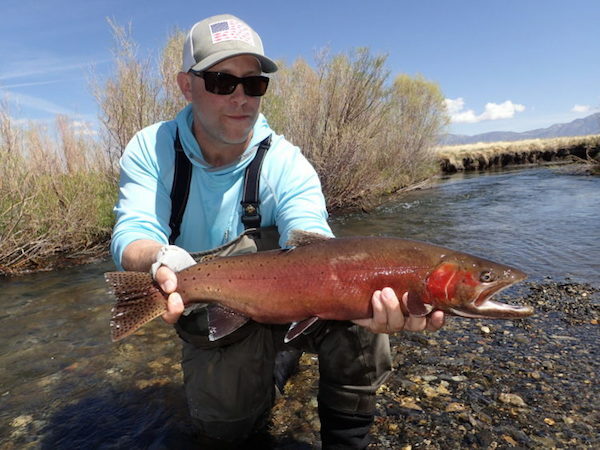 Run-off on Mammoth Creek may cause turbid conditions and slow down the bite. Middle Owens River conditions are pretty good currenlty with flows fluctuating slightly daily. Look for the caddis hatches to build as the warmer weather settles in. Some quality fish being caught, but on the slower side for numbers. 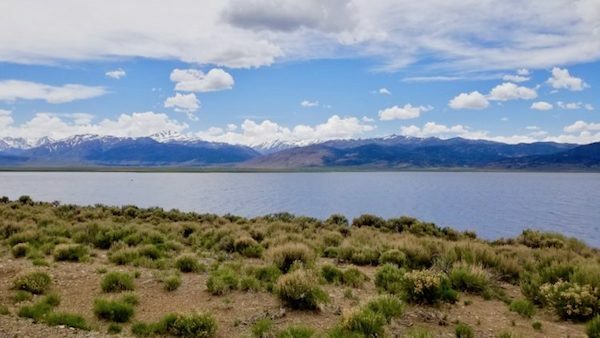 Bridgeport Reservoir also good for planters, and some thick holdovers from last fall. Find the mud bottoms/gaps in the pond weed near Rainbow Pt., the channels in Buckeye Bay, and the Walker channel by the BPR Marina. Walker River - East Fork (CA): High Flows!